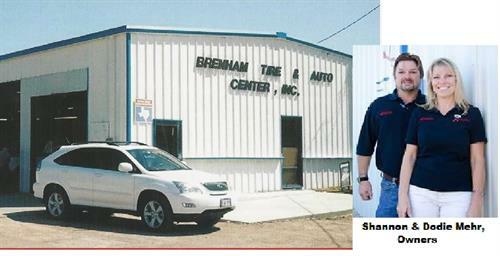 Brenham Tire & Auto Center, owned by Shannon and Dodie Mehr, has been serving the Brenham, Washington County and surrounding areas, Bellville and Hempstead communities for over 30 years. Our mission has always been to treat our customers with honesty and integrity as we would our families and to do things the right way. 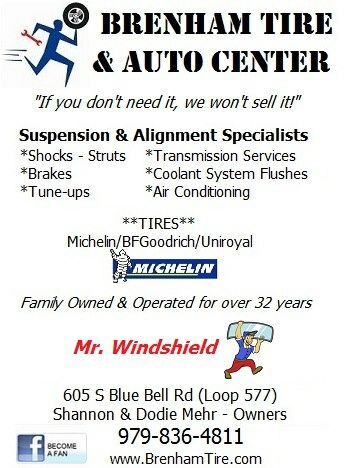 At Brenham Tire & Auto Center, Inc. ''if you don't need it, we won't sell it!'' It's that simple. Continental, General, Yokohama, Nexen, MICHELIN®, BFGoodrich® and Uniroyal®. 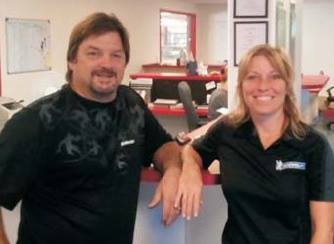 The ASE certified technicians at Brenham Tire & Auto Center, Inc. have years of experience in the auto repair business. We provide a full range of automotive repairs and services including: belts and hoses, brakes, cooling system and radiator, diesel engine systems, electrical and electronic systems, electrical starting, charging and batteries, engine diagnostics and performance, exhaust systems, four wheel drive systems, glass repair and replacement, heating and air conditioning, lube and oil change, preventive maintenance, state inspection, steering and suspension, transmission, and wheel alignment. Loop 577/BlueBell Rd. Right down the street from Blue Bell creameries, at the rail road tracks.